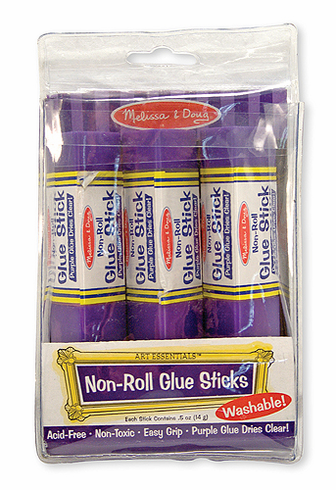 The perfect gliding glue that goes on purple and dries clear! This craft glue is acid-free, non-toxic and washable! Three easy to grasp, non-rolling sticks in a handy plastic storage pouch. The unique shape will help develop the preferred grip for later writing skills.